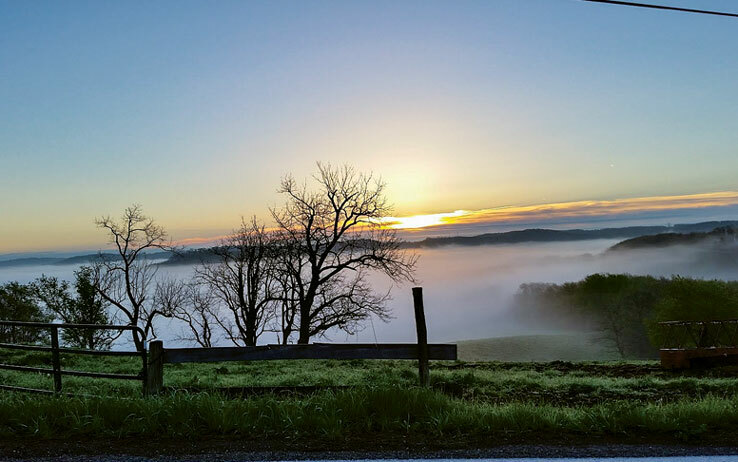 From our front porch, we wanted to be able to look down through the valley and field (about a 20-mile vista on a clear day) and follow the change of seasons just by looking out our win- dows. The fall foliage is spectacular with the wide variety of tree cover Pennsylvania enjoys. Approaching thunderstorms or snow are fun to watch as they circle around us; sometimes not dropping a single raindrop or snowflake on our land! From the rear, we’d be able to watch the deer feeding in the field, soaring eagles above or red-tail hawks as they nest. All of these elements make up our “million dollar view,” which gives us a relaxing, almost hypnotic, feeling. 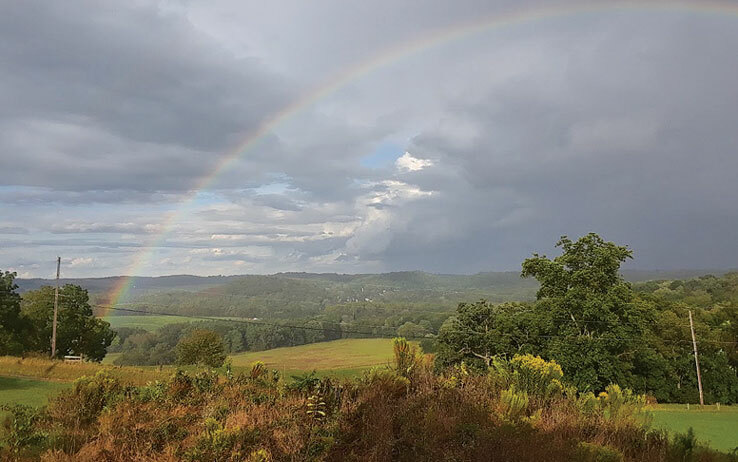 In order to protect our log home investment and the farm from unseen circumstances or events, we decided to parcel off two acres. Now the initial work began. We hired a surveyor and contacted our township engineer to do the perc (short for percolation) test. For first-timers, a perc test determines the water absorption rate of soil in preparation of building a septic drain field basin. Once the survey was completed and the perc test passed, we packaged all of this information and sent it to the township and county for approval. We thought getting our building permit would be a piece of cake, but were we in for a few unwelcome surprises that not only delayed our progress, for a while we were afraid we’d have to abandon our log home dream altogether. With the new information in hand, the DEP approved their part of the application; however, another obstacle appeared. 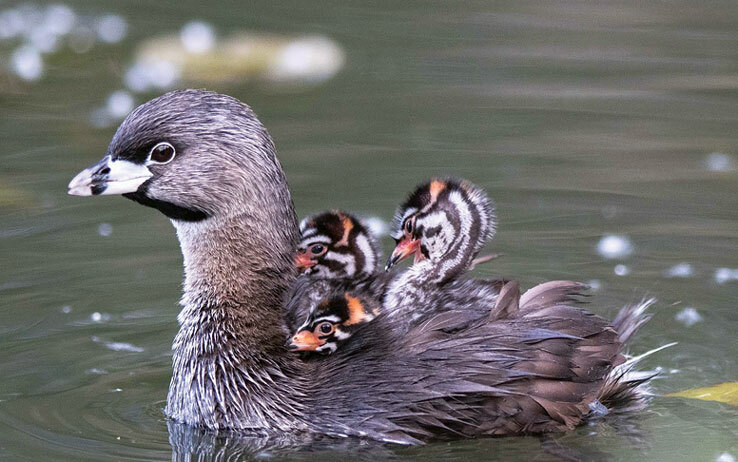 The Pennsylvania Fish and Game Commission rejected their part of the application because of the possibility that an endangered bird, the Pied-Billed Grebe, was nesting on our property. The discovery process cost us valuable time. The Fish and Game Commission physically walked our property and, in the end, deter- mined there was no nesting of the Pied-Billed Grebe on our site. Finally, our application was approved and stamped, and we were ready for construction. These obstacles set us back about three months, but with a little research and determination, we were able to resolve them. Nothing was standing in the way of our dream log home anymore. On a clear day, you can see for 20 miles. But view isn’t everything when you’re buying land. Make sure any parcel you’re considering can pass a perc test and won’t have any unusual restrictions. The Pied-Billed Grebe — the endangered bird that nearly thwarted Gary’s and Becky’s log home plans. 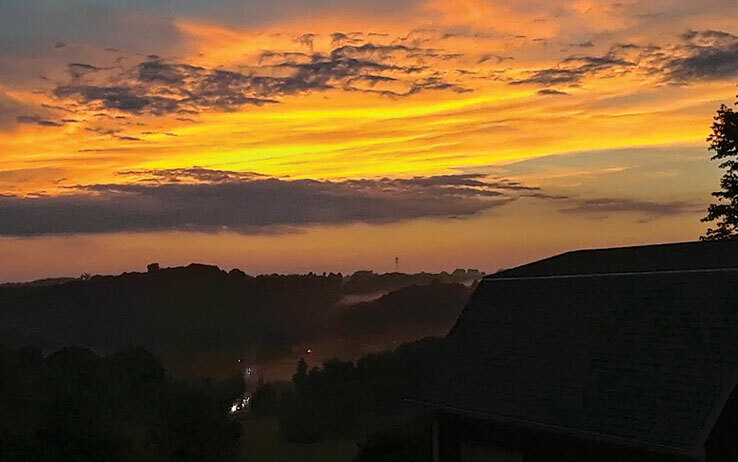 Sunsets are spectacular from their hilltop perch in western Pennsylvania. 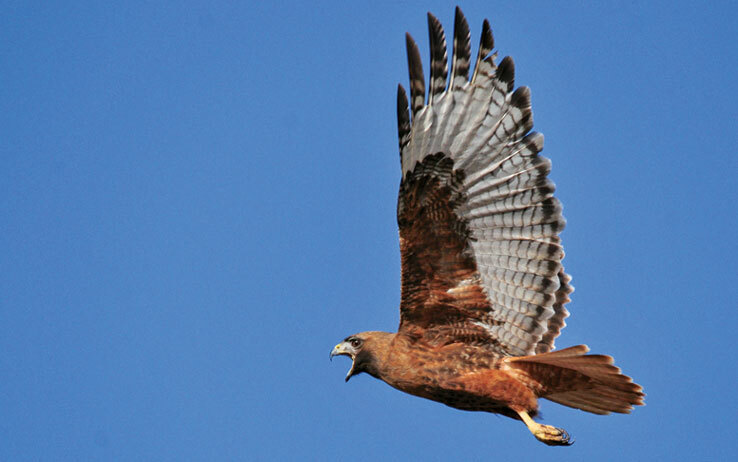 Red-Tail Hawks are frequent visitors in the skies along the Saymanskys’ lot.